The year 2014 is almost over. Its now time for us to honor the athletes who gave pride and honor to the country the past twelve months. 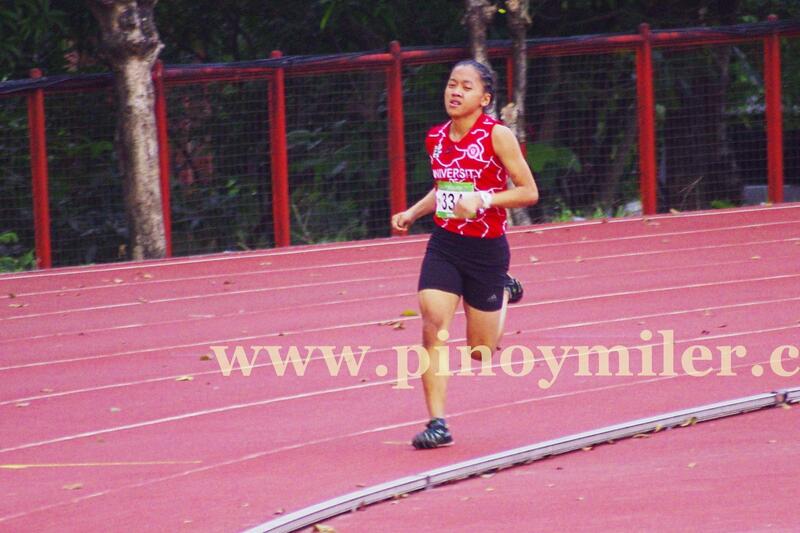 Jenny broke Lydia de Vega’s UAAP record in the women’s 100m during the heats with a blistering 11.90s. She however settled for 4th place in the 100m finals. The culprit? She went too fast in the heats of the 800m with a time of 2:14.51 Yes, you read it right, 800m – her first try at the event. In the process, she displayed her wide range of talent, making her competitive from 100m to 800m including the 400m hurdles. She then settled for silver medal the following day in the 800m with a time of 2:13.40, ranking 3rd in the 2014 national rankings and in the top 10 of South East Asia. She bid goodbye to UAAP competitions by registering two new meet records in the 400m and 400m hurdles with 54.45 and 60.15 respectively. In the process, she won the UAAP Season 77’s MVP. Last May 2014, for the second time in six months, the Philippines’ national record for the Decathlon was shattered. Jesson Cid breached 7,000 points for the 2nd time and this time, registered 7,069 points, winning the Philippine National games title in the process. As a decathlete, Jesson is world class in the 100m and 400m sprints, competitive enough in the Asian level in the 1500m and high jump, but excruciatingly behind in the 6 remaining events. At the Incheon Asian Games, Cid provided some highlights in the 100m and 400m events where he ran 10.63s in the former, putting him on top of the PH 2014 toplist. But he withdrew from the 10-event discipline as a knee injury prevented him from completing his events in Day 2. As of this writing, Jesson is now on the comeback trail as his calcium deposits in the knee has been addressed already, and is now back as the favorite to win the 2015 SEA games decathlon. Not all ordinary Pinoys are aware that we are blessed with a female sprinter that has the potential to be in the world class level. Zion Rose Corrales-Nelson, who has a Jamaican father and a Filipina mother but grew up in Canada, first broke the national mark for the 400m (both juniors and seniors) last May 28, 2014 with a mark of 54.64s at the heats of the British Columbia School Championships. She then empathically lowered it to 54.18s in the finals a day later. Zion in the process, became the youngest Philippine seniors national record holder at 15 years old as her date of birth is October 11, 1998. One could just imagine the potential this girl has as she is still 6-8 years away from the usual peak age of a sprinter. 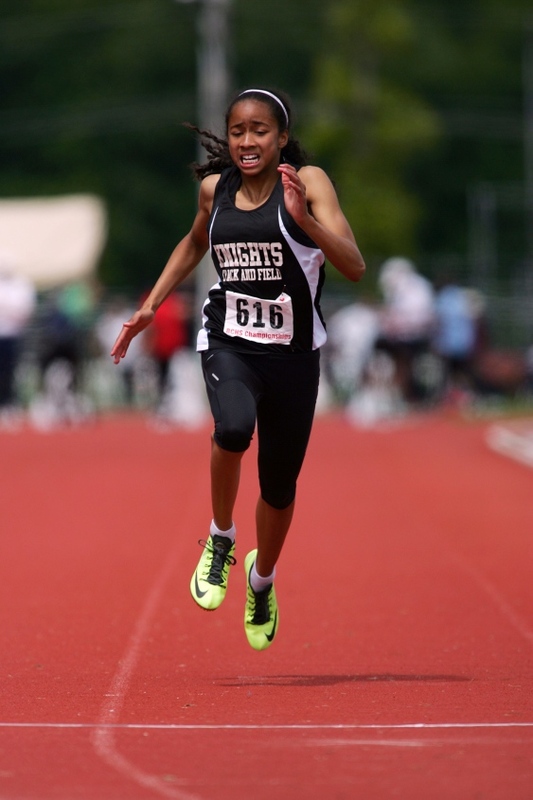 Zion also qualified for the 2014 Youth Olympics Games where she qualified for the 400m B-finals. She went from 7th to 4th in the final straight where she registered 55.32s. Weeks before the start of the 2014 Asian games, the whole Philippine Athletics community had expected a medal. But as the competitions unfold, the expected medal slowly slipped away as heralded long jumper Marestella Torres bombed out. 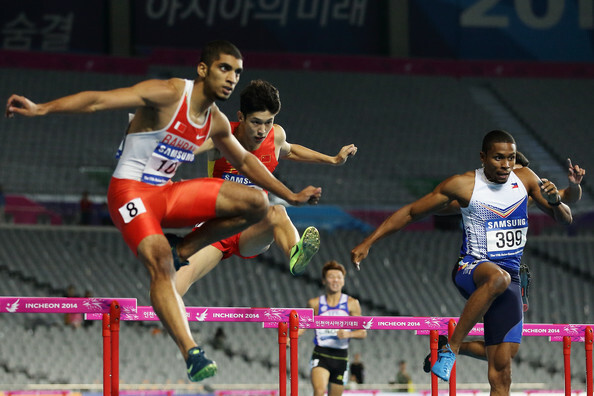 But quite unexpectedly, Fil-Am hurdler Eric Shauwn Cray provided a ray of hope for the embattled athletics contingent. During the qualifying heats, Cray registered a “tamed” 50.00, a new national record. As videos showed Cray, opted not to pursue Chinese Cheng Wen for 1st place, the whole Philippines expected an encore performance and an overindulged expectations of a sub 50 seconds, to go with a medal. However, in the finals, Cray surged in the lead in the first 200m but faded into 6th place with a 51.47s performance. Maybe its not meant for the Philippines to break its Asian games medal drought – just yet. But Cray definitely jolted us to believe once again that the Philippines can be relevant once again in the Asian continental level. The son of a SEA Games bronze medalist has bettered his own father’s record at a young age of 18. But he did not stop there. Ernest John “EJ” Obiena smashed the Philippine national record for pole vault a total of 7 times during 2014. He first set a national (junior and senior) indoor record of 5.00m last March 26, 2014 at the World Indoor Pole Vault Championships. He then set the outdoor records (junior and senior) at 5.01m at the PATAFA Weekly Relays at the ULTRA on July 20, 2014, then after a week (July 27), improved his record to 5.05m at the same Weekly Relays. Then in one magical day last August 16, 2014 still at the PATAFA Weekly Relays, EJ improved on his Philippine record three times, first to 5.06m then to 5.10m before finally settling at 5.15m. A remarkable 10 centimeter improvement in one single day. Eight days after that on August 24, he then proceeded to improved his mark to 5.20m at the Singapore Open. Finally at the PATAFA Relays last September 28, he reached 5.21m – 2 months before he turned 19 years old. That means all his records above are both juniors and seniors records. His 5.21m catapulted EJ to 3rd all time in the South East Asian Region, next only to Kreetha and Sompong, both of Thailand with vaults of 5.24m and 5.23m respectively. Then last December 18, EJ represented the Philippines in the ASEAN University Games and won the pole vault gold in his third and final attempt with a vault of 5.10m. What is remarkable with EJ’s 2014 accomplishments is that, the national record that he first shattered last July, stood for 22 years. 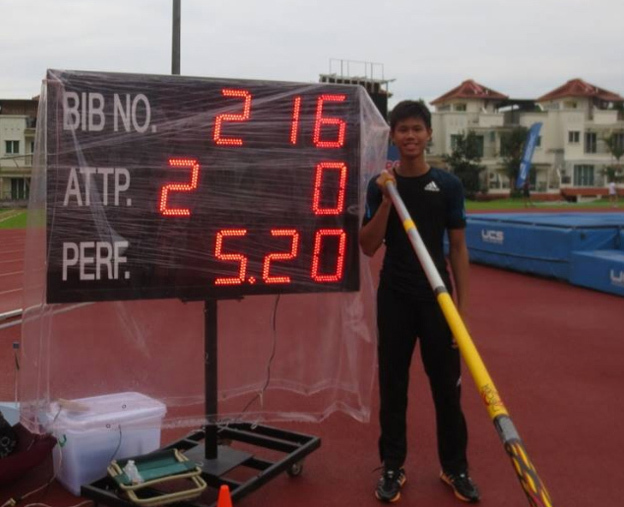 Moreover, Edward Lasquete, the former record holder, is a Fil-Am, making the pole vault record somewhat distant and unreachable mark. EJ is now considered one of the favorites to win the 2015 SEA Games pole vault gold at Singapore. This entry was posted in On Pinoy Athletics and tagged Eric Shauwn Cray, Ernest John Obiena, Filipino athletes, Jenyrose Rosales, Jesson Ramil Cid, PATAFA, Philippine athletics, Philippine track and field, Zion Corrales - Nelson, Zion Rose Corrales. Bookmark the permalink.